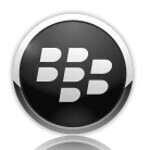 Research In Motion, or RIM, has long been associated with BlackBerry, but now the company has finally taken the plunge and dropped the RIM name altogether adopting BlackBerry as the name of the company. That means there is no longer RIM and instead everything will now be under the BlackBerry umbrella. This is a logical move that will strengthen the ‘Berry brand and comes right on time as the company launches BlackBerry 10 and its first BB10 devices, the all-touch BlackBerry Z10 and the full QWERTY BlackBerry Q10. I think this is a pretty risky move. I can see why you think that its a risky move but it all about brand recognition. Believe it or not some people didn't know that RIM was the creator of Blackberry so now i guess it will be easier to identify. This isnt a good move...Research In Motion sounds like a name fit for enterprises....BlackBerry just sounds like a fruit! Apple became successful not because its name was Apple...its because they were into the computer industry since the start and their phones weren't initially marketed as enterprise phones they were for consumers but they were good enough to be adopted by enterprises as well...Apple built its brand from the ground up...didnt matter if they were called Apple or Mango for that matter! All in all a bad move by RIM or Blackberry! Not risky at all. Colloquially, everyone knew them as BlackBerry and were puzzled at who Research In Motion was. It didn't help that they ONLY made Blackberries. I think it's a smart choice although I'm not sure if it will change anything. If you had a Blackberry then you knew who RIM was. On the other hand, people who are still thinking of buying a Blackberry don't even know that RIM is the maker of Blackberry. Because you'll never hear people saying, "Hey, I've got a RIM phone". It's all about brand recognition for ordinary customers and I guess it's just smart to rename their company to Blackberry. Is it even humanly possible for you to post without being a troll? Better to leave RIM before getting RIP. In my views, its like renaming Apple to iPhone. I always wanted to work for them, but I guess now my dreams of getting a RIM Job are crushed. This definitely could help them, since casual consumers never knew who RIM was and only associated the company with Blackberry devices. RIM sounds better than Blackberry. Should have kept the name. its actually a nice move! Its a good move. It will certainly help to clear any confusion about them.